Les Menuires will open this winter on 8th December and the opening weekend will see the ‘Les Menuires 24 Hours’. It’s 24 hours of fun for everyone: a chance to get your skis on again and with giant raclettes and fondues on offer at La Croisette to top up energy levels. A EUR9.5 million investment has been planned to improve the capacity of lifts and their environmental impact. 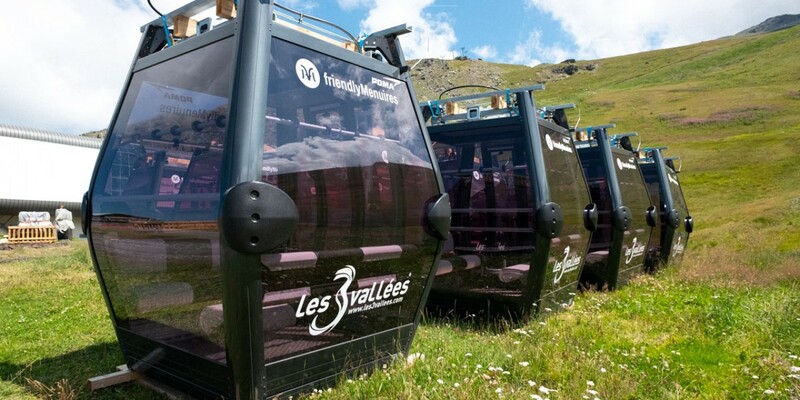 This includes renovating the Bruyères gondola, which links Les Menuires to the other resorts in Les 3 Vallées, with faster, new 8-seater cabins. The Roc 1 gondola will also be updated to a faster flow of 3,200 people per hour instead of 2,800. 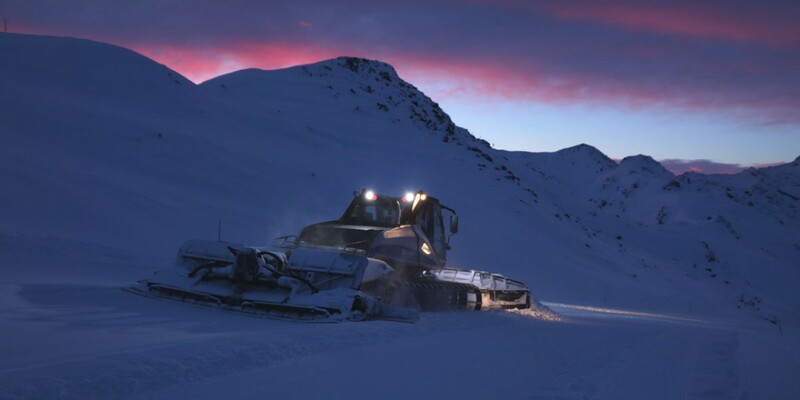 This innovation is an exciting opportunity to take a look behind the scenes at how the mountain team prepare the slopes every evening, grooming and smoothing the pistes. You will spend an hour in the groomer, then enjoy a delicious meal in a mountain restaurant. Rides will be available two to five times a week, depending on weather conditions and will cost €50 for adults and €30 for children (5-12 years). More info here. Whether you want to share it on social media, use it improve and keep it for posterity, there’s nothing like a video of you whizzing down the slalom or GS. The Les Menuires ESF has set up 10 cameras on the Olympic stadium so that your entire descent can be captured on film and shared. Junctions, dead ends and false trails – can you escape this icy labyrinth? 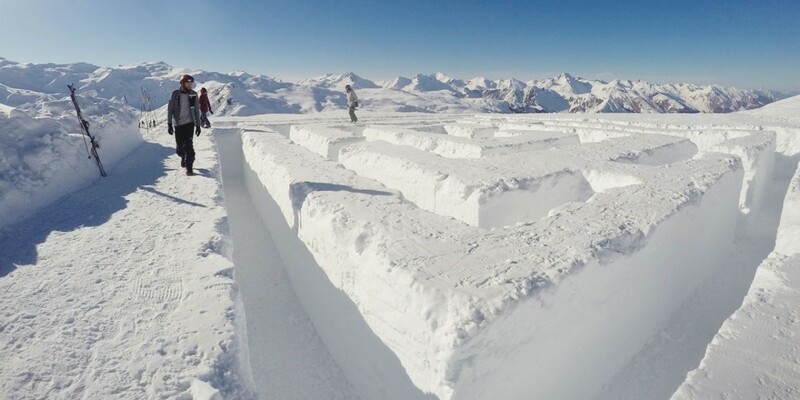 The Arène des Neiges is a free maze made of snow, about 20m wide and 2m high and great for family fun. Find it at the top of the Roc 1 gondola. Ski touring is increasingly popular and this winter, Les Menuires will be offering an even larger choice of special trails for skimo fans. If you would like independent advice on finding the right chalet in Les Menuires for your party, then please contact the Chaletline team on 01822 617761 – our small team of friendly experts will be delighted to help. This entry was posted in Family Ski Holidays, Les Menuires and tagged les menuires. Bookmark the permalink.